Motivational interviewing has been shown to improve treatment adherence and outcomes, promote health behavior change, improve patient satisfaction with care, and increase retention rates in complex case management. 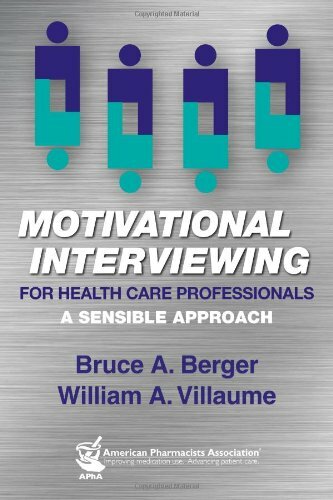 Motivational Interviewing for Health Care Professionals: A Sensible Approach presents a new way of teaching the theory and practice of motivational interviewing to health care professionals. The book illustrates how motivational interviewing effectively replaces everyday persuasive strategies and language habits that trigger resistance in patients. It addresses those aspects of motivational interviewing that typically pose problems for health care professionals such as how to share medical expertise while at the same time empowering the patient by maintaining his or her autonomy in the decision-making process. Using motivational interviewing skills will enable health care professionals to communicate with patients in a clear, concise, and structured way. Health care professionals in all practice settings will have a greater impact on improving patient outcomes by using the tools and skills in this book.